Long associated with just denim, indigo has recently popped up in so many pieces of clothing and decor. Japanese fabrics in these shades of blue have been used to craft everything from sharp-looking scarves to sneakers and button-downs. Often with simple white lines, dots, and other small details, these fabrics are the inspiration for this Word notebook. Word notebooks are designed to help organize your life while looking good in your pocket or bag. 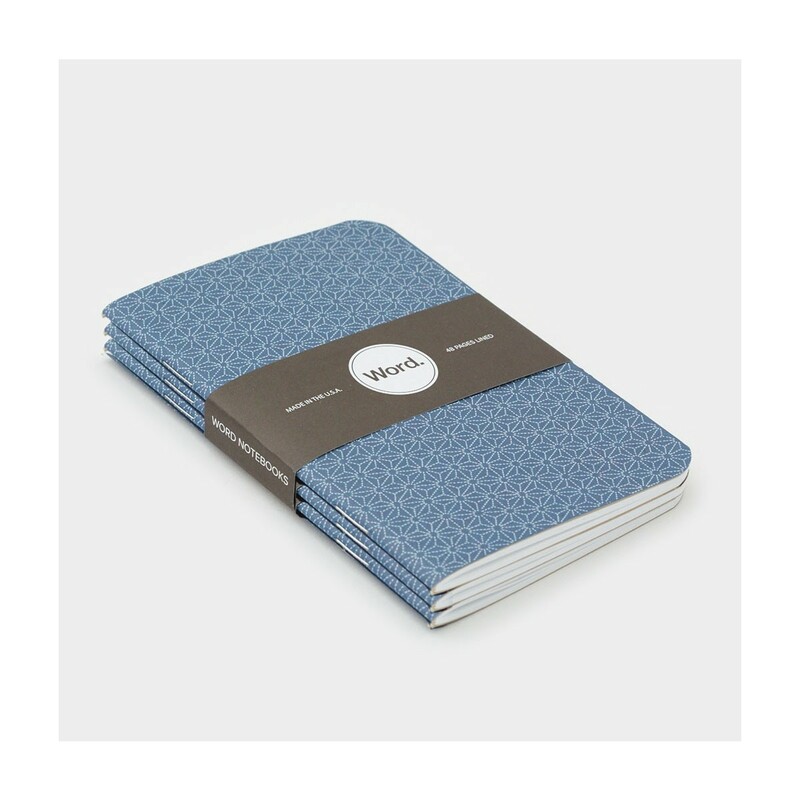 Each notebook features 48 pages of lined paper with the unique Word bullet point system, which takes care of all your daily notes and Todo-lists. The unique bullet point system used in Word notebooks lets you organize your tasks efficiently. Simply fill in the bullet point when writing an item on that line. Trace the circle around it when it’s important and add a slash when you’ve started work on it. 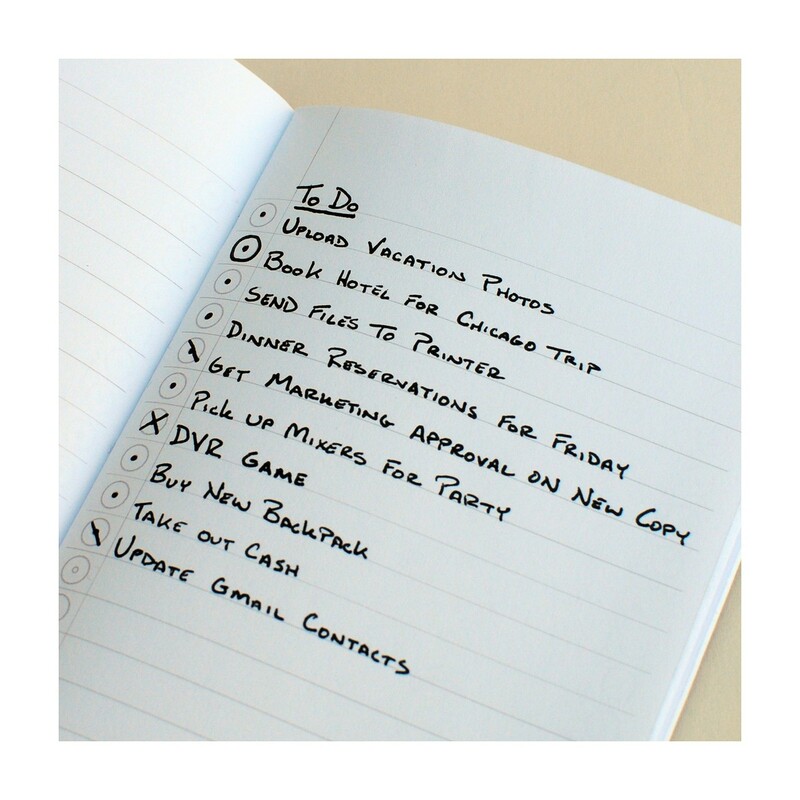 Once the task is complete, simply mark down an “X” and move on to the next item on your list. 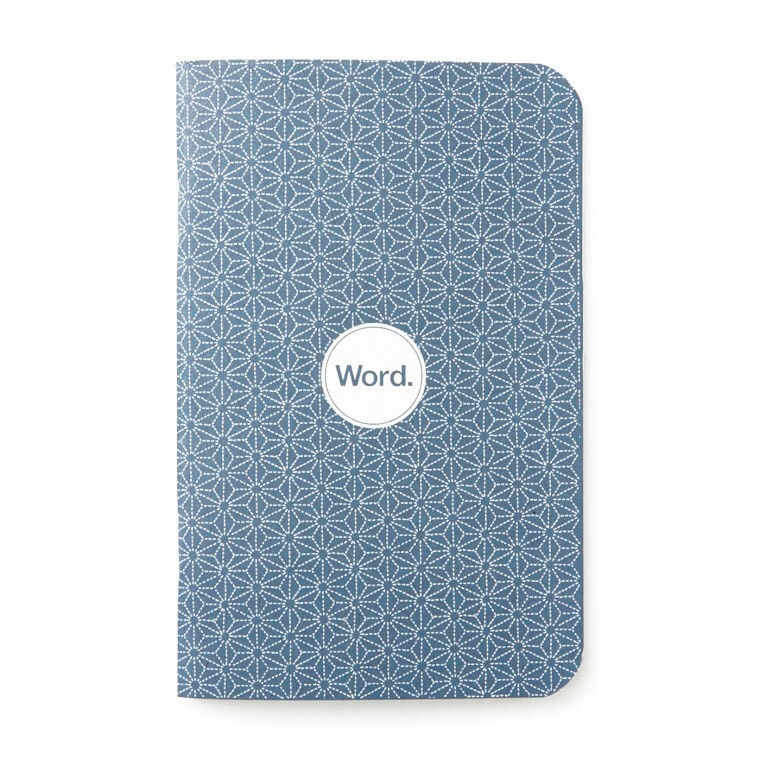 Word creates handsome notebooks that can handle all the lists and bullet points you craft on a daily basis. 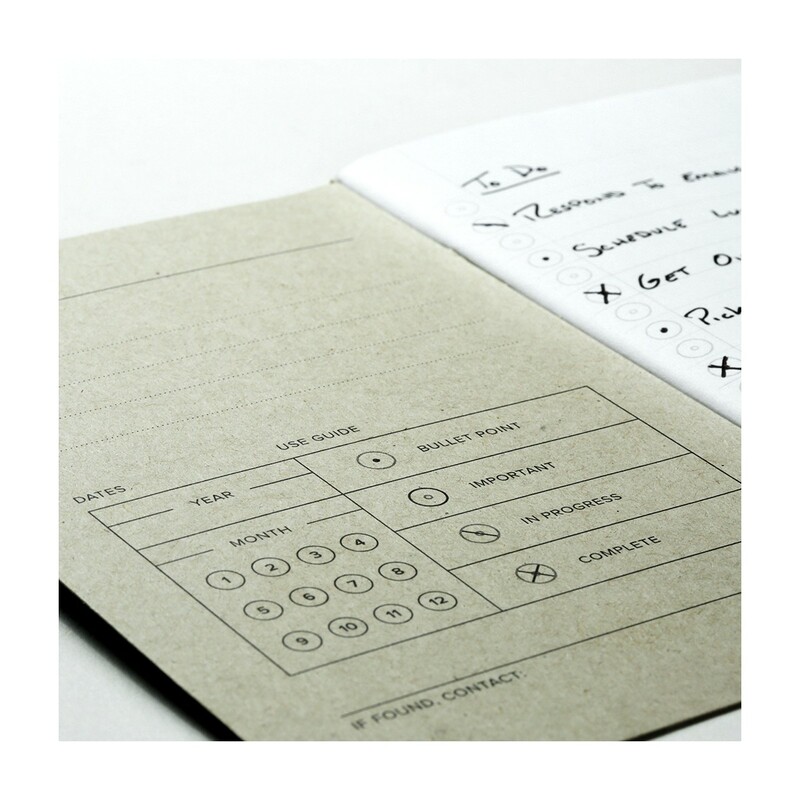 Each notebook is designed in-house and made in the USA.